In a nationwide referendum that was held in June 2016, more than half of the Britons voted for the UK to exit the European Union (EU). The referendum itself was controversial in nature, leading to the then Prime Minister, David Cameron, to resign as he was backing for the UK to stay in the union. Some of the instant implications of the Brexit were turmoil in the financial markets, pound falling to the lowest and has writhed to recover. On the other hand, there have been fall in EU migration among others. In present day, the Brexit storm has temporarily settled as the official departure from the EU kicks off, but entrepreneurs are mystified. Uncertainty seems to be lessening optimism about businesses environment in the UK. Many questions are either emerging, with entrepreneurs uncertain whether the Brexit will have adverse effects or positively influence their startups in the end. Actually, there are pros and cons of the Brexit felt across various industries such as tech, but it remains problematic to fathom whether the merits outweigh demerits and vice versa. As a member of EU, there are regulations that come into force when negotiating for trade deals with other players in the global market. 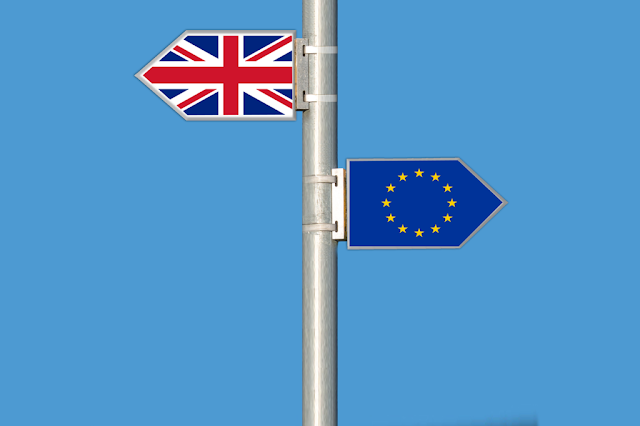 The non-EU members must comply with these rules, for instance a non-EU member has to negotiate with the union as a single market, but henceforth it would be easier for countries such as India, the US and China to negotiate with the UK as an independent market. As a result, the UK startups could have the opportunity to evaluate and solve challenges in the wider local market. In like manner, the UK government could focus on assisting the startups and negotiate business deals with other players in the global market for the benefit of startups. The UK contributes funds to the EU budget, but the irony is that what they take is less than what they give out. According to the House of Commons briefing paper, the UK contributed approximately 12 billion USD annually between the year 2011 and 2015, in return getting a paltry 15 billion USD over the same period. Furthermore, the EU supports various initiatives involving startups-financially and going by what the UK gets, their startups receive little support. It is worth noting that, Brexit could mean that the UK stands to gain more. It could be reasoned out that Brexit means that UK shall have more money to support businesses and other initiatives at home, but of course, startups can still access funding in the EU if the ongoing negotiation between the UK government and the EU becomes successful. As it stands, the net migration of EU citizens to the UK has dropped significantly since the Brexit became a reality in June 2016. Literary, this translates to loss of vital skilled labor and the business community seems to be the casualties. On the contrary, there are more avenues to be exploited. On the positive side, the UK government can take in ’’qualified skilled migrants’’ from countries outside Europe through ‘’point-based entry system’’ just like the one applied in Australia or Canada. Therefore, there is optimism-the startups will be able to tap the top talents from outside Europe. Today, statistics show that the rate of unemployment in the UK is at the lowest-approximately 4.5%. However, this appears will take a different course in the next couple of years due to low investments. In Europe, the UK is trailing countries such as Romania and Latvia in creation of new businesses. Now that the UK is on the verge of exiting for good, it would be difficult for EU startups to settle in the UK, as there is favorable business environment to thrive in Europe hubs rather than UK where they will have to adhere to regulations that will come in place for instance applying Entrepreneur’s Visa hence slowing investments. Verily, European Union is a big market and studies show that this pool accounts for approximately 25% of the global Gross Domestic Product (GDP). Furthermore, the EU provides a huge market for approximately 45% of the UK exports. With the Brexit, this will hurt the UK startups most. Even though the UK government will negotiate with the EU, the ultimate outcome is that UK startups will have limited access to the EU single market. The EU may also decides to punish the UK by absolutely restricting access to their market by the local startups. Immediately after the Brexit, pound fell down and it has struggled to recover. The consumers spending/purchasing powers were affected hence affecting startups across various sectors. It remains to be known whether this pound instability will be long term or short term. Just to sum up, it is too early to make conclusion about whether Brexit was wrong or the right decision made by the Britons as UK businesses are still operating under the EU laws but once the Brexit concludes in less than two years’ time as anticipated, it would be easy to know the real ramifications of Brexit. However, despite the uncertainty because of the Brexit, early indications are that there is a light at end of the tunnel.